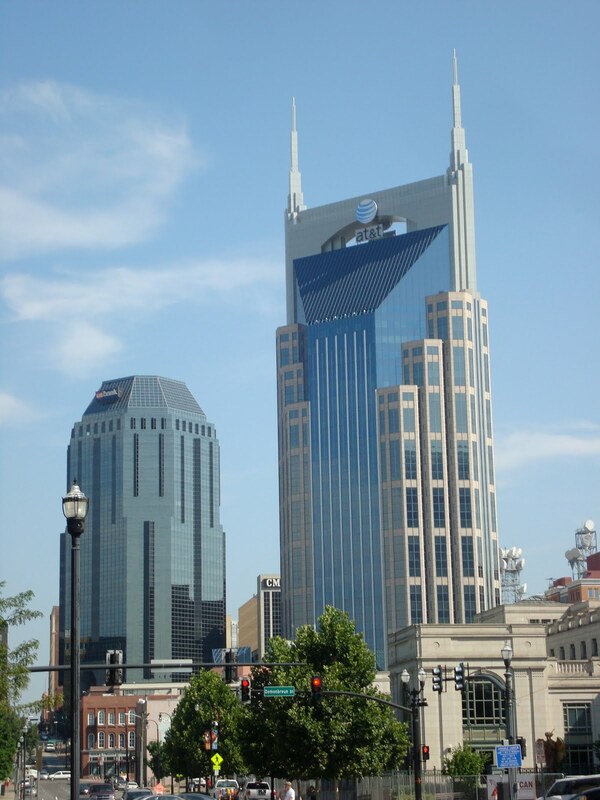 Good morning, Nashville! It was late Tuesday night when we pulled into town, so it was nice to see the skyline in the daylight, especially the "Batman building." 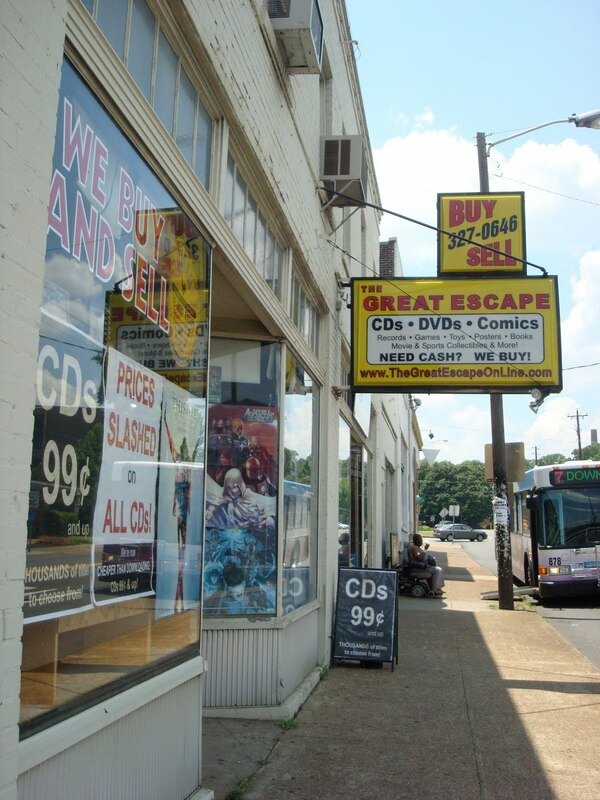 Since we needed to get to Virginia that night, we didn't have much time at all in Music City. 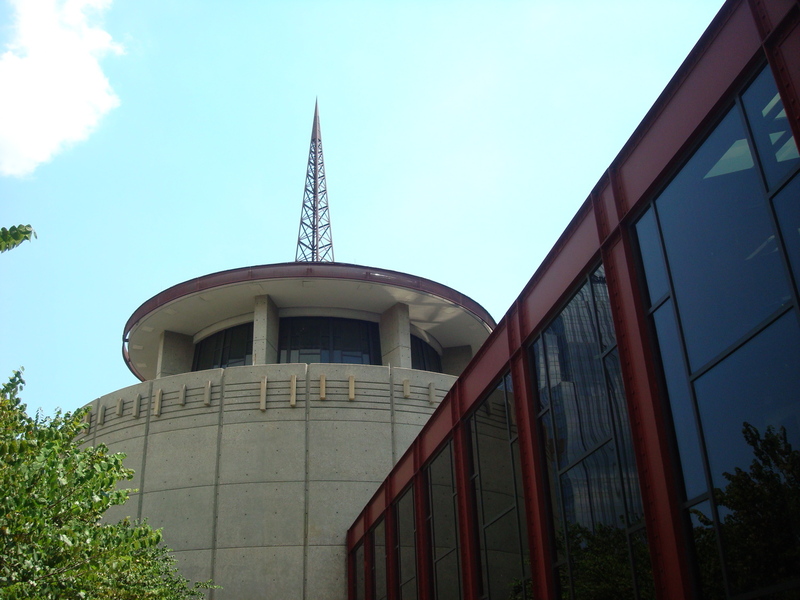 Still, we spent a few hours at the Country Music Hall of Fame and Museum. 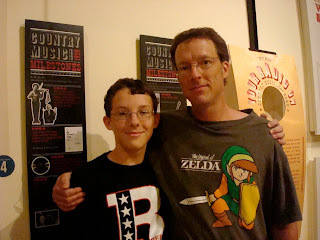 There we saw all kinds of artifacts from the early days of country to the present. 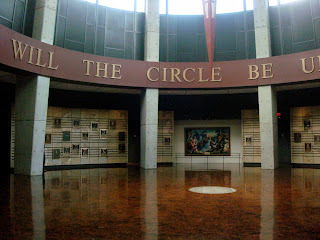 We saw costumes and collectibles, manuscripts and LOTS of instruments. Even though we're not huge country fans, we still enjoyed this as a journey through American music. Ryan and Katie recognized Spade Cooley because of their Papa's love of the old singers. Patsy Cline's dress. 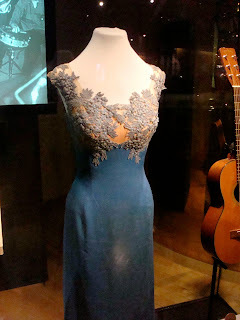 Even though it was just her dress, I kept thinking of that line from Coal Miner's Daughter: "I can't believe I'm sittin' here talkin' with Patsy Cline!" 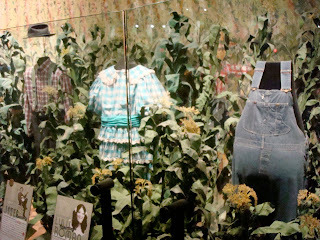 The cornfield set and costumes from Hee Haw really took me back, too. Brett and I could remember watching that show as little kids. 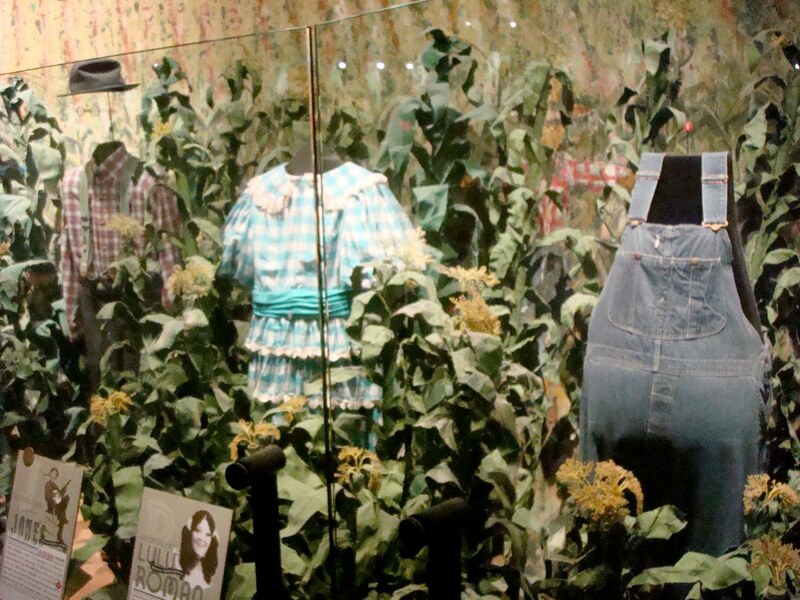 At viewing stations in the museum, we could watch video clips from Hee Haw and other performances. 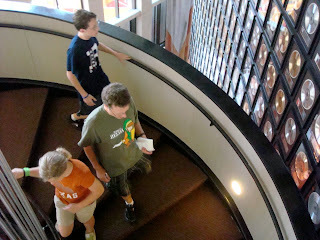 While I watched several of the country comedy clips (Jerry Clower, Jeff Foxworthy), Brett listened to some old tracks. Cool stuff. 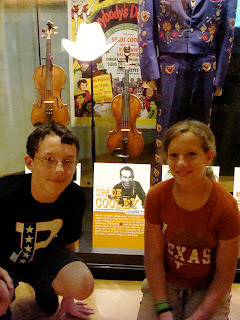 It all brought back lots of memories of my family's trip to the Grand Ole Opry 30 years ago. 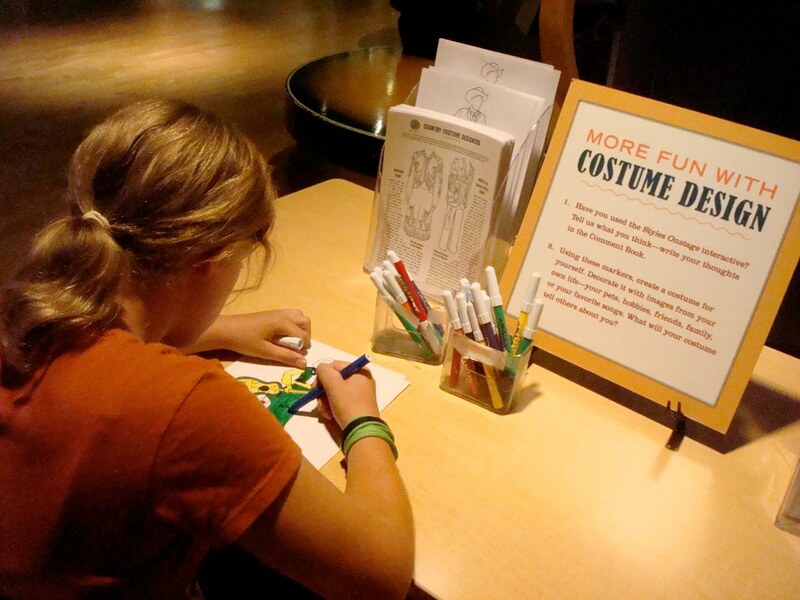 Katie was quick to busy herself at the costume design station. She created a custom C&W costume using the markers provided. After seeing the museum, we walked into the big rotunda that houses the Country Music Hall of Fame. 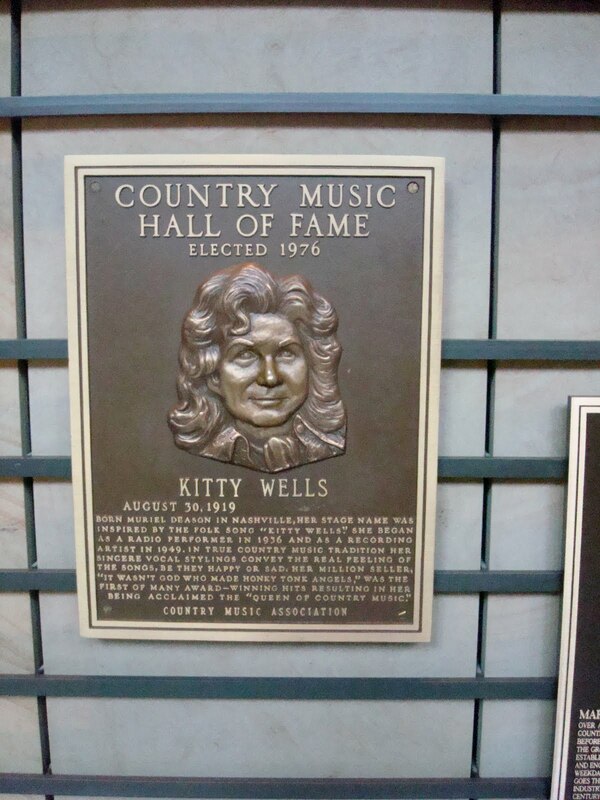 We checked out the markers for country's biggest legends. 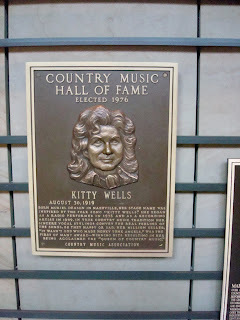 Seeing Kitty Wells' plaque again reminded me of our Grand Ole Opry trip. My grandparents really liked the "queen of country music." 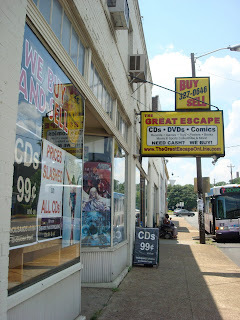 After that visit, we went to this cool store that sold used CDs, DVDs and comics. We had found it online (Brett tends to Google used book and CD stores when we travel), and it was worth the visit. 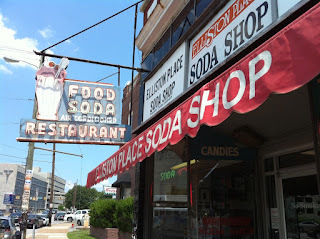 Next we headed to this soda shop Katie and I had seen on the show, I Get That a Lot. On one episode of the show (that I'm not a fan of, by the way), Leann Rimes posed as a dim-witted waitress. 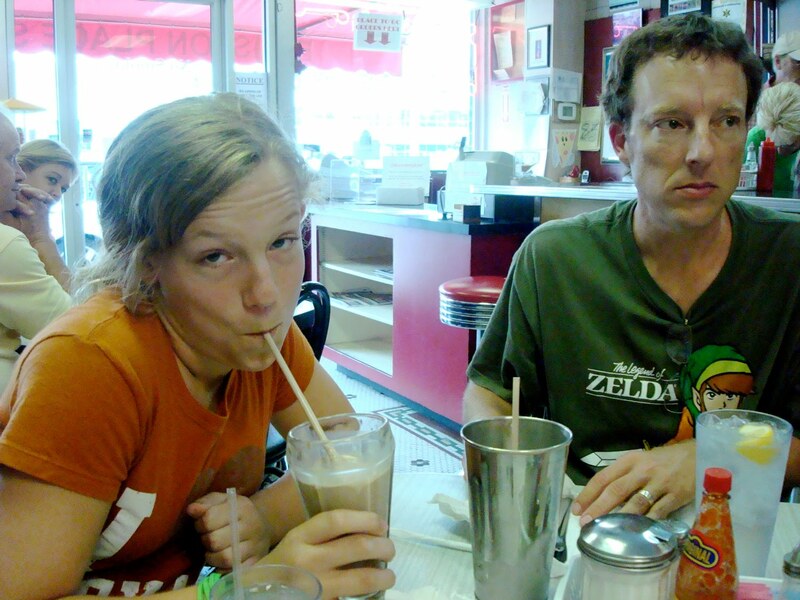 When people asked if she was Leann Rimes, she denied it and told them, "I get that a lot." 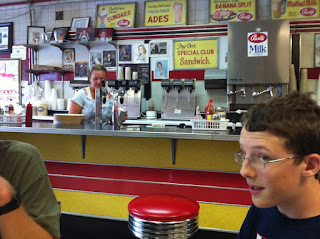 When we heard the old diner was in Nashville, we figured we should look it up. We're glad we did! 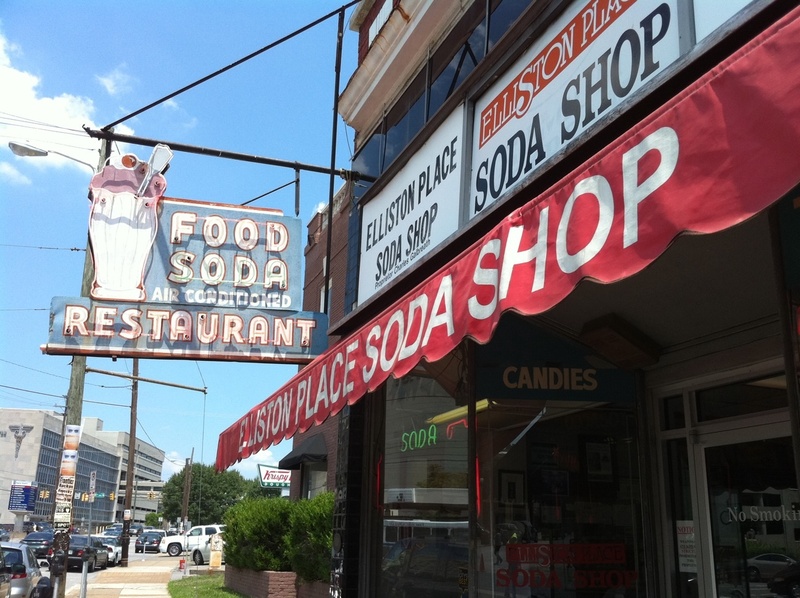 The food was yummy—very old school. 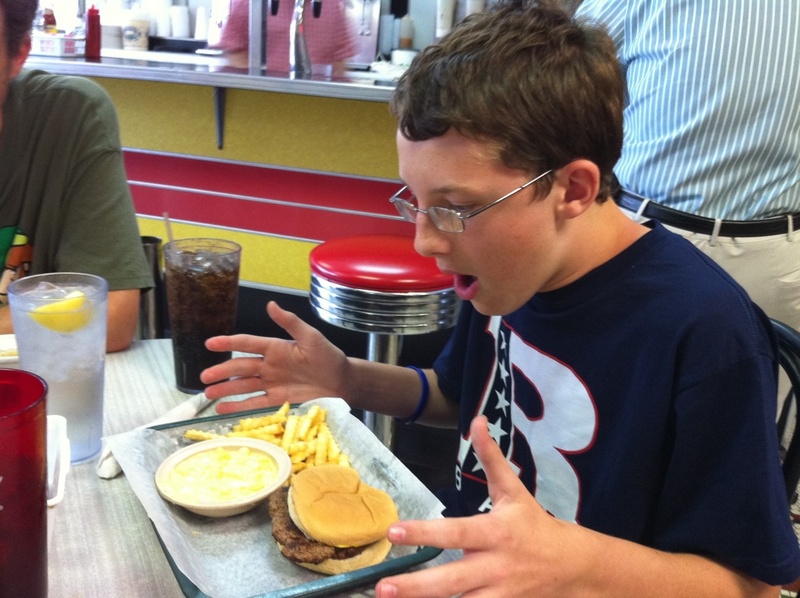 OK, Ryan. Maybe it wasn't THAT good! Actually, it was great. 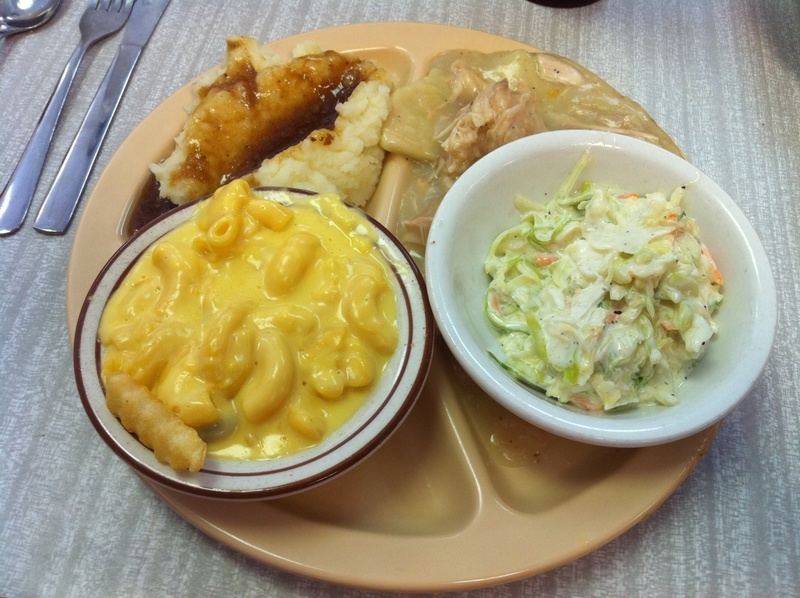 I loved my chicken and dumplings, and Brett was crazy about the pecan pie. Katie got a chocolate shake, which was delicious, too! 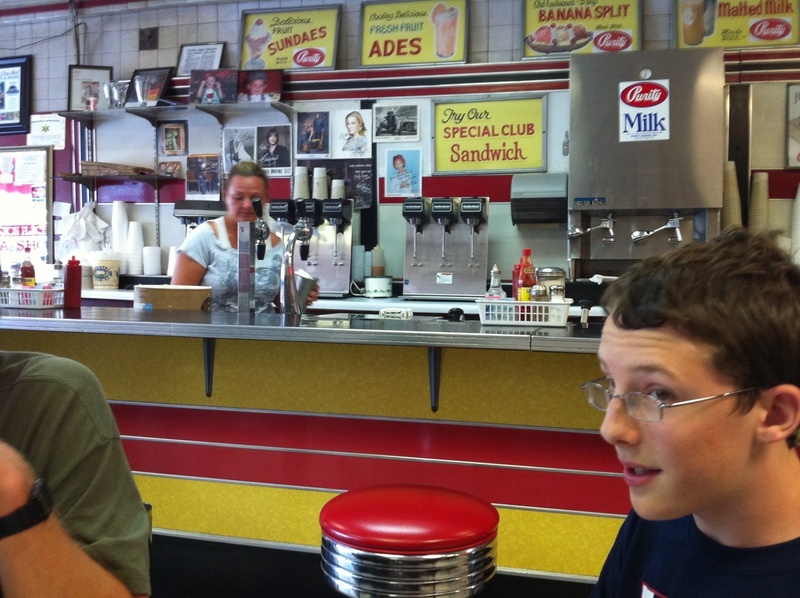 Leann's picture is behind the counter there. After that, we had to hit the road, eastbound for Dublin, Virginia!